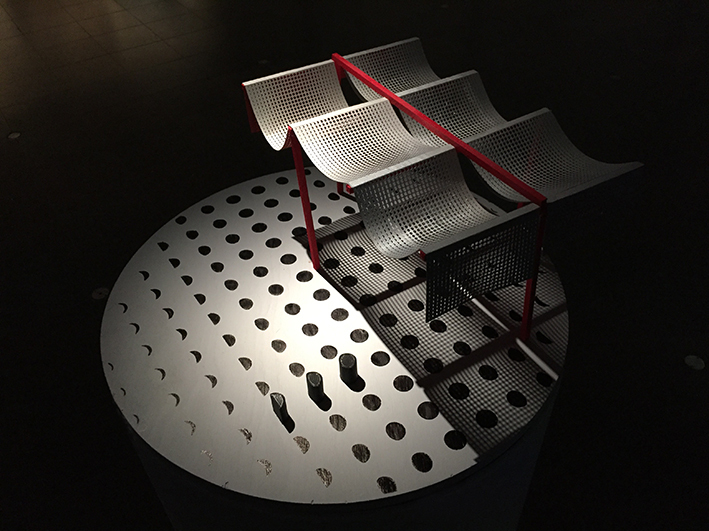 The printed pattern is made with a mechanical device, a manufactured steel-cylinder, with the graphic pattern as a matrix relief made of truck tires. 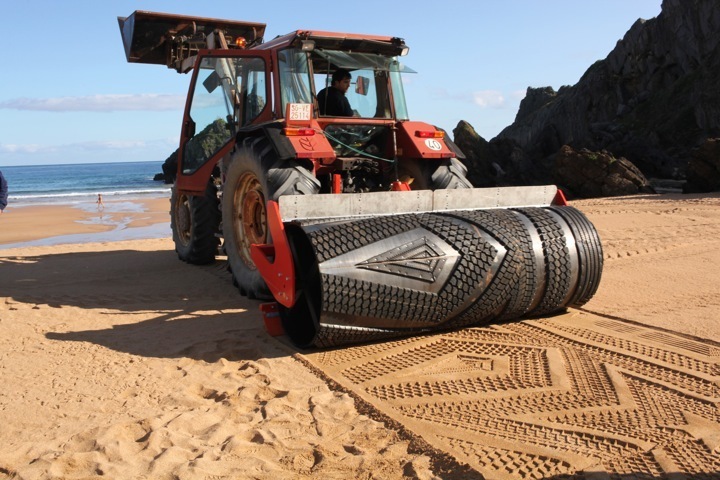 The cylinder is connected to the beach cleaner tractor which drives from side to side of the beach in the morning, creating the pattern covering the whole beach area. 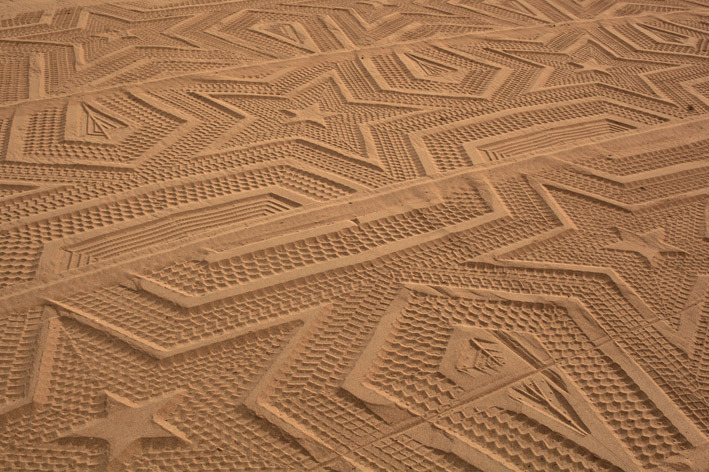 Following the lunar and tidal calendar, the pattern is remade again and again at all possible days at low tide. The work A Sign in Space is performed on dates when the tidal calender is synchronized with the the beach cleaners early morning working schedule- the pattern will be created on days when the low tide hour fits the labour working hours.